When it’s time to place a bulk mattress order for your hotel, there’s a lot to consider. You have to stay within your budget, you have to make sure your guests will stay comfortable so they keep coming back, and you have to know you won’t need to replace your beds again for a very long time. Here’s why choosing our wholesale mattress company for your order is a smart decision. Since 1929, Beloit mattress has operated as a family business. The expertise that went into building some of our first mattresses has been passed down from one generation to the next, and although we’ve kept up with the latest innovations in mattress technology, we still focus on what our founders cared about most: quality. Each employee in our factory knows time-tested practices that have kept customers coming back to us for decades. We pride ourselves on keeping clients in the hospitality industry satisfied. Our team of mattress makers has been filling bulk mattress orders for hotels, motels and resorts for many years, and we continue to have repeat customers because their own customers are sleeping well. When you buy mattresses in bulk from us, you get the same quality in each bed. That’s because we don’t just line up your order on a mechanical belt and watch them go; we build them each by hand. By tufting each stitch that goes through every mattress, we ensure the filling stays in place and avoid any tears or blemishes. Each mattress may take several hours to make, but the result is that you get comfortable, durable beds that you won’t have to replace for years. And we put just as much care into choosing what goes into our mattresses as we do in making them. We integrate the latest Leggett and Platt Comfort Core technology, don’t use any chemical flame retardants, and use natural materials including organic cotton, bamboo, pure joma wool, and natural latex which resists mold and mildew. We understand that most bulk mattress orders from hotels include double beds, queens, and kings. If needed, we can even make custom sizes. And whatever build you need, from flip-able innerspring to latex or memory foam, we can do it. As a wholesale mattress company, we’re able to make and sell our mattresses, which means we cut out the middleman and pass the savings on to you — some of our beds are as low as $99 per unit! You won’t find a more affordable wholesale mattress company who cares about the quality of their products. Nearly a century of mattress expertise. A family owned business. Quality build and materials. All at prices you can afford. What more could you want in a wholesale mattress company? Call or come into Beloit Mattress to speak to a knowledgeable staff member about your business needs. We’re looking forward to building a relationship with you. Unsure which Beloit Mattress is best for you? 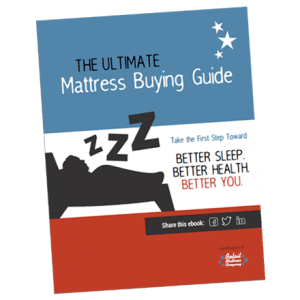 Download our Mattress Buying Guide now! How Frequently Should You Wash Your Mattress Protector?